The easiest way to import our demo content is to use our Demo Content Importer. You can access this after you register your purchase via Token Registration. Our importer will give you all pages and posts, several sample sliders, widgets, Fusion Theme Options, assigned pages, and more. IMPORTANT NOTE: To access Avada demos in version 5.0 or higher, you must first register your purchase via Token Registration. Before you import any of our available demos, please make sure to check the items listed below. All of these are important and will ensure that your demo import goes smoothly. In case something does go wrong with your demo import, please see our Troubleshooting section below. Product Registration - Please make sure to register your product via Token Registration to be able to access and import our demos. Required Plugins - Install Avada's required plugins, Fusion Core and Fusion Builder. Also make sure you've installed the recommended plugins listed on each demo. View screenshot here. System Status - Check the System Status tab to ensure your server meets all requirements for a sucessful import. Settings that need attention are listed in red. ZipArchive Extensions - You must have the ZipArchive extensions installed and activated on your server in order for the Layer Slider and Revolution Slider to import demo sliders correctly. Please ask your hosting company about this if you have any issues. IMPORTANT NOTE: This method is available for Avada versions 5.2 or higher. Step 1 - Navigate to the Avada > Demos tab in your admin sidebar. Step 2 - Select the Avada demo you wish to import. You'll do this by hovering over the demo's image and clicking the "Import" button you see on hover (as seen in the above example image). That will launch a popup where you can make additional selections. Step 3 - Take note of the top section of the demo popup image. There you'll see a list of required plugins for the import to be successful. If all the plugins have "Active" beside them, then you're ready to import. There will be a red notice of "Activate" or "Install" if either actions are needed. View screenshot here. Step 4 - Choose what content to import. Your selection can range from "All", which will be the full demo content, to just pages, posts, FAQs, or any combination of those content options. Once you've made your selections, click "Import" to start the process. It can take a few minutes to import everything. Please be patient and wait for it to complete. Once complete, the loading bar will become a "Done" button. Click the button to close the popup and complete the process. Step 5 - This is an optional step and not necessary if you're planning to replace the demo images with your own. After importing, you can Regenerate Thumbnails to create all the theme generated sizes of these images. To do this, install and active the Regenerate Thumbnails plugin, then go to the Tools > Regen. Thumbnails tab in your WP Admin sidebar and choose 'Regenerate All Thumbnails'. This will regenerate all images and allow the theme to use specific image dimensions in various areas for a cleaner layout. This may take a moment to complete. If you encounter errors during or after importing a demo, please see below for possible solutions. If you don't find what you're looking for below, please don't hesitate to submit a support ticket to our support team. If the demos aren't appearing on the Avada > Demos tab, then your purchase may not have been registered via Token Registration. Please register your product first to access Avada demos. If your demo import is failing, there will be a notice and some info on what may have gone wrong in a popup. You'll find some suggestions of what to check first in that same popup. For example Demo import failed. Please check for PHP limits in red on the System Status page. Change those to the recommended values and try again. You'll always want to check your System Status page first to see if there are any low limits in red. If you see that, increase them to the recommended limit and then try the import. Generally your webhost will be able to take care of increasing low limits for you. More info on changing these specific server limits can be found here. For details on Avada required minimums, please see our post here. If your host will not make changes, or you cannot get the demo content to import, then please try our Alternative Demo Import Method. 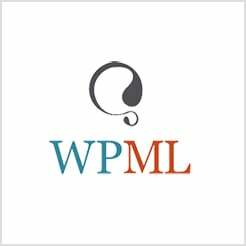 Method 1: WP Reset Plugin - This plugin is the fastest way to get rid of content. However, it will remove all content from your database and leave the default theme activated. It does not remove plugins, but will deactivate them and remove all pages, posts, menus, sliders, widget data, Fusion Theme Options, etc. It removes all the content from your database. Only do this if you are planning to start your site freshly from a new WordPress install/new demo import. Click here to download the WP Reset plugin. Method 2: Manual Removal - This method will take longer and simply involves manually removing duplicate items. For example, go to the Appearance > Menu and delete any duplicate items one by one. It will be the same process for pages, post, sliders, etc. Our demo content contains published blog posts. If you import on a live site, plugins like JetPack will notice new posts and push them out into your blog feed. Please disable any plugin that may do that before you import. After the import, you can remove the posts or save them as drafts then turn your plugin back on.